The Settle-Carlisle Railway Development Company is committed to protecting and respecting your privacy. This notice together with our Website Terms and Conditions and any other documents referred to in it sets out the basis on which any personal data we collect from you, or that you provide to us, will be processed by The Settle-Carlisle Railway Development Company or our processing partners. Please read the following carefully to understand our views and practices regarding your personal data and how we will treat it. By visiting https://www.settle-carlisle.co.uk/ or providing your information in the circumstances described below, you are accepting and consenting to the practices described in this policy. For the purpose of the Data Protection Act 1998 (the “Act”), depending on the services used the data controller is either The Settle-Carlisle Railway Development Company and Arriva Rail North Ltd (“Northern”), and the data processor is Assertis Ltd (TrainGenius.com), Colourmedia Solutions Ltd, Java Productions and Briggs Brothers Ltd. 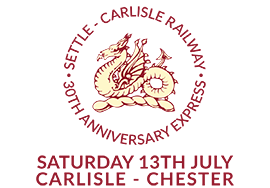 Individuals are advised that when using the “Website” those pages with a web address prefixed by https://www.settle-carlisle.co.uk/ these pages are managed by The Settle–Carlisle Railway Development Company as the data controller, (a company registered in England and Wales with registration number 2679394 and registered to The Settle-Carlisle Railway Development Company Limited, Town Hall, Market Place, Settle, North Yorkshire. BD24 9EJ). Individuals are advised that when using the “Website” those pages with a web address prefixed by www.northernrailway.co.uk these pages are managed by Northern as the data controller, (a company registered in England and Wales with registration number 04337712 and registered to 1 Admiral Way, Doxford International Business Park, Sunderland SR3 3XP). Individuals who purchase tickets through the link to TrainGenius at www.settle-carlisle.co.uk are advised that transactional pages prefixed https://traingenius.com are managed by TrainGenius.com, which is the trading name of Assertis Ltd. “TrainGenius.com” as the Development Company’s data processor and issuer of train ticket(s) (a company registered in England and Wales with a registration number of 04040155 registered to Globe House, Eclipse Park, Sittingbourne Road, Maidstone, ME14 3EN). Individuals who purchase tickets from Northern are advised that when using the “Booking Service” – transactional pages prefixed by www.buytickets.northernrailway.co.uk – these pages are managed by Trainline.com Limited “Trainline” as Northern’s data processor and issuer of train ticket(s) (a company registered in England and Wales with a registration number of 03846791 and registered to 120 Holborn, London, EC1N 2TD). References to “Settle-Carlisle Railway”, “The Settle-Carlisle Railway Development Company”, “Northern”, “Northern Railway” “we” “us” or “our” and they can also refer to our data processor Assertis Ltd (TrainGenius.com), Trainline.com Ltd (“Trainline”), Colourmedia Solutions Ltd, Java Productions of 22 Fairfax Road, Bingley, BD16 4DR and Briggs Brother Ltd, 1 Cononley Business Park, Cononley, BD20 8LG. We will not intentionally or systematically seek to collect, store or otherwise use information about you classed as ‘special categories of data’ or ‘sensitive data’ (for example, information relating to any trade union membership, ethnic origin or health). WordPress: Our website runs the popular WordPress Framework and cookies may be used to store basic data on your interactions with WordPress depending on how you use the website. We use a session cookie to remember your log-in for you if you are a registered user and we deem these as being strictly necessary to the working of the website. If these are disabled then various functionality on the site will be broken. For further details on the cookies set by YouTube, visit http://www.youtube.com/t/privacy_at_youtube. How we use your personal data and the legal basis for such processing? The collection of the personal data described in Section 2, “What personal data do we collect?” is usually mandatory and, if such personal data is not provided, we will not be able to provide the information, products and services to you. Where the collection of any personal data is not mandatory, we will inform you of this prior to collection, as well as the consequences of failing to provide the relevant personal data. Where we have a legal obligation to process your personal information. Our service providers act on our instructions, and we ensure that they take measures to keep your personal data safe. We do not allow our service providers to use your personal data for any purpose other than carrying out the service in question, and we only provide them with those parts of your personal data that they actually need. All payments for ticket purchase through Visa and Mastercard are processed by Assertis Ltd and Trainline.com Limited as outlined in Section 1, “Who is responsible for your data? Northern may share your email address or phone number with some operators so that they can contact you with service messages, for example if a train is cancelled. Northern may also need to share some of your personal data with any other transport carriers or other service providers who provide you with any part of the services that you’ve booked through us. In some circumstances we have a legal obligation to share parts of your personal data with police or customs authorities, regulatory authorities, government & law enforcement agencies. This may include, but is not limited to, fraud prevention and detection. We may disclose your data to any other person to whom you request us to make disclosure or if you consent to such disclosure. We will not retain your personal data for longer than is necessary to fulfil the purposes for which we collected that personal information, unless the law permits or requires that we retain it for longer. WiFi registration Once you have created an account to use Northern’s WiFi services, then the account information you provide will be retained for a period of one year. At the end of the one year period you will be asked to re-confirm your details when you log in to use and if necessary update your details to continue receiving WiFi services. Prospective customers If you have registered an account with Northern on www.northernrailway.co.uk but NOT purchased a ticket through our online Booking Service at www.northernrailway.buytickets.co.uk then Northern will keep your account until you notify Northern that you no longer require your account or you purchase a ticket online. Once you purchase a ticket online using www.northernrailway.buytickets.co.uk then the information regarding customers (below) will apply. Northern will review account information on an annual basis and we may contact you to ask if you still wish to retain your account. If you have given The Settle-Carlisle Railway Development Company or Northern permission to send email marketing messages to you then we will retain your marketing preferences until you notify us that you no longer wish to receive marketing emails by updating your marketing preferences by logging into your account and updating your preferences. We will review marketing preferences annually and may contact to you to ask if you wish to still continue receiving marketing emails. We apply appropriate administrative, technical and organisational security measures to protect your personal data that is under our control from unauthorised access, collection, use, disclosure, copying, modification or disposal. All information you provide to us is stored on secure servers. The Settle Carlisle Railway Development Company and Northern (as part of the Arriva plc Group), trains employees regarding data privacy policies and procedures and permit authorised employees to access personal data on a need to know basis, as required for their role. Steps to ensure that any service provider with whom we engage to process personal data on our behalf takes appropriate technical and organisational measures to safeguard such personal data. If you wish to access, correct, update or request deletion of your personal information, you can do so at any time by contacting The Settle-Carlisle Railway Development Company Ltd. If Northern hold your data, The Settle-Carlisle Railway Development Company Ltd will inform the Northern Data Protection Officer on your behalf. Please note: We retain personal information from deactivated accounts to comply with law, prevent fraud, collect any fees owed, resolve disputes, assist with any investigations, enforce our terms and conditions, and take other actions otherwise permitted by law. We may also retain some pseudonymous data for analytical purposes so we can understand, for example, how many visitors we have had to the Website or Booking Service. The controller of your personal data is The Settle-Carlisle Railway Development Company Ltd and Northern. Note: This web site contains links to other sites. Please be aware that we, the Settle Carlisle Railway Development Company, are not responsible for the privacy practices of such other sites. We encourage our users to be aware when they leave our site and to read the privacy statements of each and every web site that collects personally identifiable information.